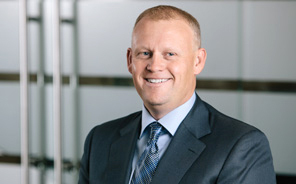 Ruben Jeffery joined Kingston Ross Pasnak in October 2014. Prior to joining KRP, Ruben was a partner at one of the National accounting firms for five years. And, previous to that, Ruben was also a partner at Veres Picton & Co. LLP for ten years prior to the firm merging its practice into the national accounting firm. He has a significant amount of experience in working closely with entrepreneurial businesses in a large variety of industries including manufacturing, construction, hospitality, commercial and residential real estate, and oil field supply and rental organizations. Ruben has also worked for a large variety of not for profit organizations. In addition to his extensive audit and assurance background, he offers consulting services to many companies including corporate reorganizations and restructuring, and family estate planning. Numerous professional development courses through the institute of Chartered Accountants of Alberta.